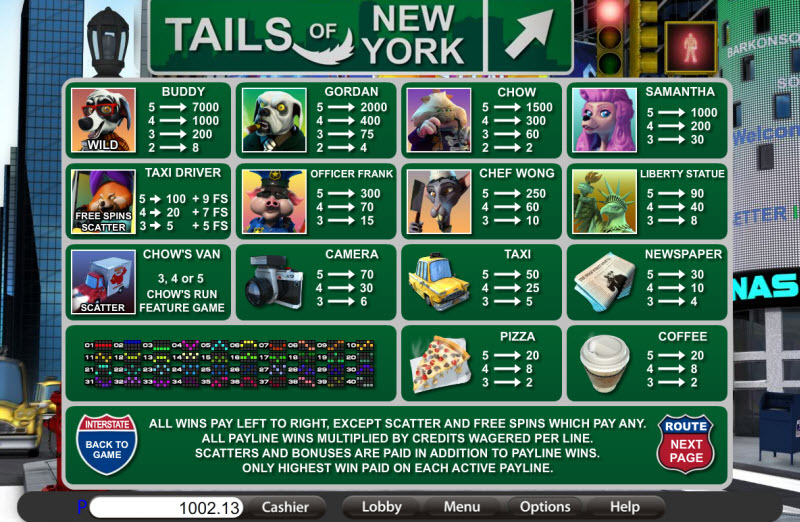 Overview: Seasoned slots players and newbies alike will be enchanted by Tails of New York, the newest captivating video slot set in the city that never sleeps, from gaming software giant BETONSOFT. What do you get when you combine the cute factor of a cast of irresistibly mischievous furry friends with the intensity and energy of the world's most glamorous city? One of the most sensational video slot launches of 2012, that's what! The game follows the intrepid exploits of our hugely entertaining hero, Buddy, a border collie with a camera, a dream, and tons of journalistic ambition. Join him as he teams up with an eccentric cast of characters. There's a cab driver, a movie starlet, a shady Chinese businessman, a career cop, and a whacky Japanese sushi chef. This will be an adventure of a lifetime in the streets, subways and playgrounds of the Big Apple! Buddy also doubles as the Wild, and the resulting anticipation and unpredictability makes for an exuberant ride through a game that is a tribute to Jay-Z's favourite city. 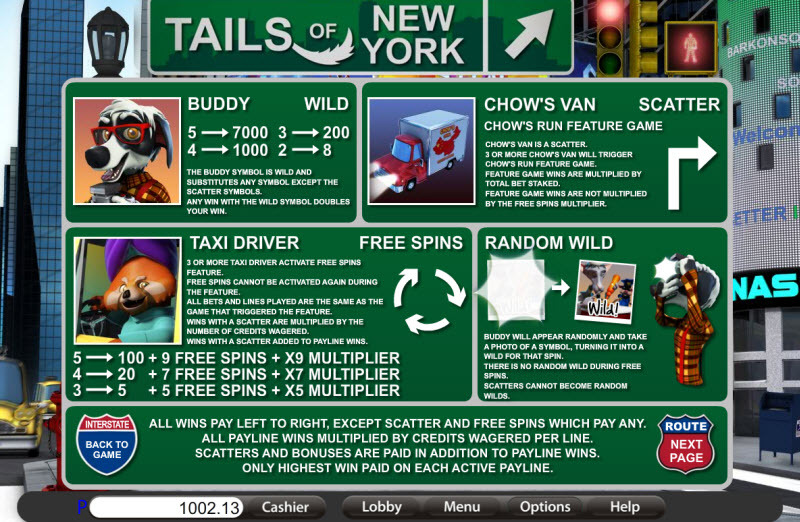 Watch out for the giant red Panda, the driver of the fastest cab in NYC, because he'll also get you free spins - the kind you want. And, while you're touring the famed streets in the shadow of the Empire State, don't forget to keep an eye out for Mr Chow's delivery van, which will activate the Feature Game for you. Get to meet Samantha, the darling of the movie industry - and of Buddy's heart. 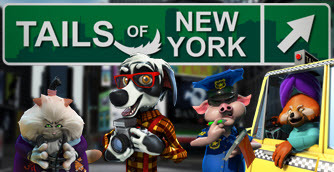 Share the passion and patriotism of Officer Frank as he keeps the streets safe, and laugh your head off at the antics of Chef Wong, who is probably the most misunderstood man in New York. 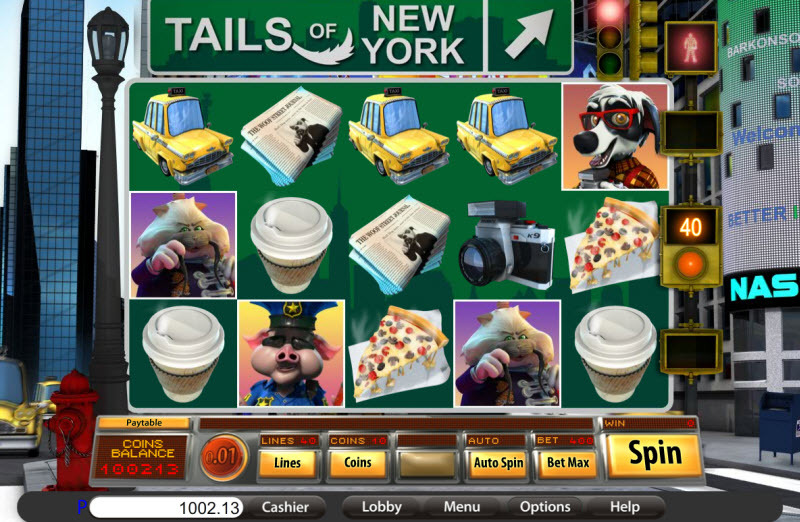 From Times Square to Wall Street, from Lady Liberty to the Bronx, this vivid, crystal-clear video slot from BETONSOFT takes players on an entertaining, nostalgic, and downright thrilling ride - with a big payoff as an encore. 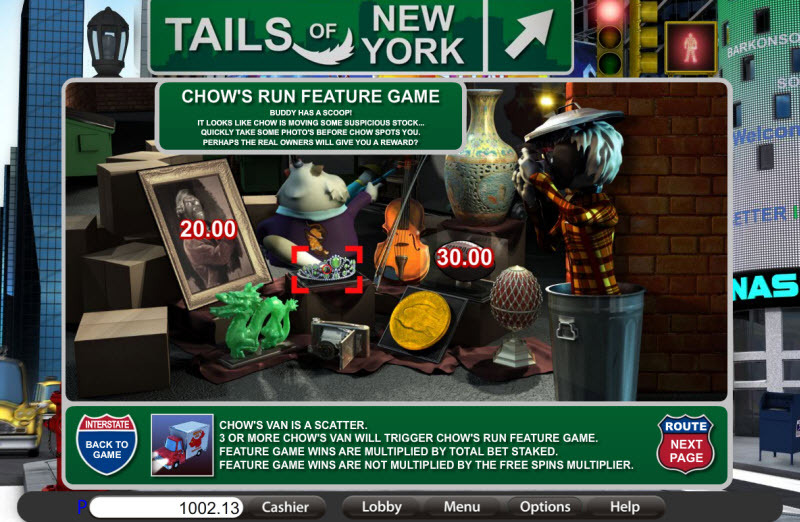 Similar Slots: If you like Tails of New York, you might like these other slot machines from Saucify: Buckin' Bronco$, Cash Flow, Road Trip, The Purse of the Mummy, Tomahawk, Yeti Hunt:i3D.